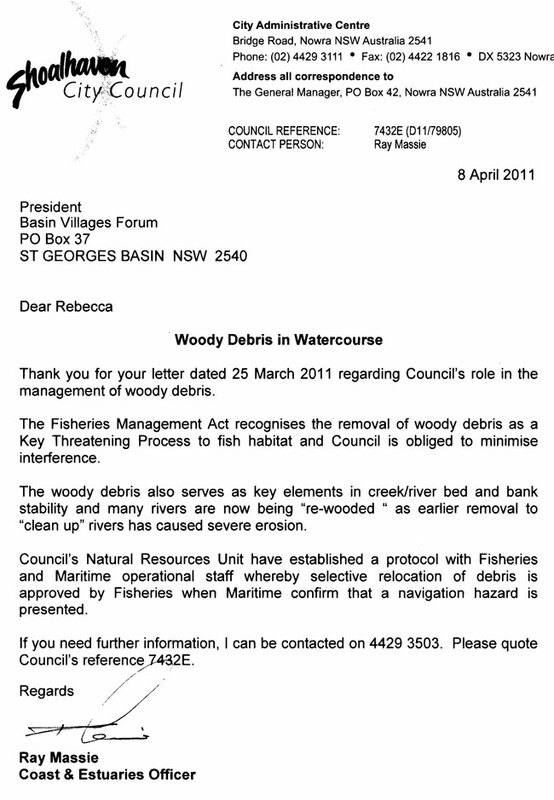 Response from Council, to Forum’s letter regarding post-storm woody debris in the Creek. April 2010 Members of Basin Villages Forum have worked consistently (and constantly) over the years to highlight the importance of a healthy St Georges Basin waterway. 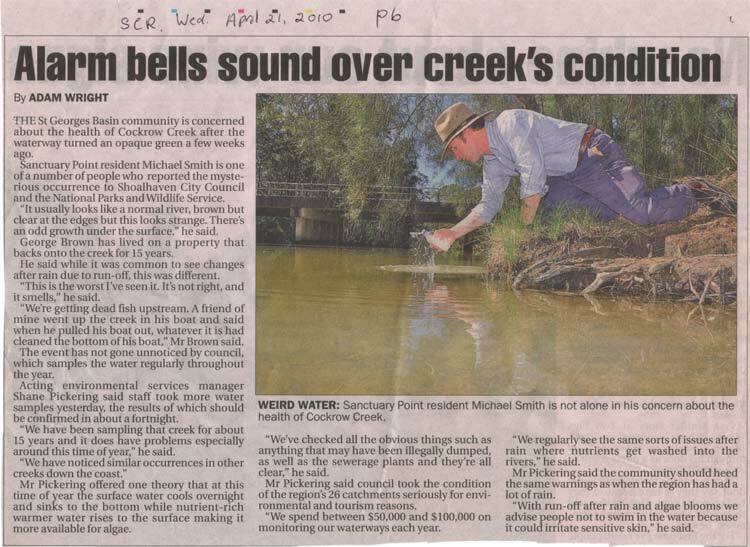 Stormwater and drainage issues have been a major component of the Forum's correspondence with Shoalhaven City Council and now it is possible that urban runoff has created an algal problem in Cockrow Creek. Alarm bells should be ringing. There is a definite need for community education relating to the impacts of: pesticides, car wash detergents, dog and cat faeces etc. on our sensitive & precious waterway, and the value of retaining grassed areas and natural vegetation areas without too many hard surfaces. Basin Villages Forum Committee will be calling on Council to educate the community and highlight the impacts of domestic, every day actions that can and do impact on the health of St Georges Basin estuary.